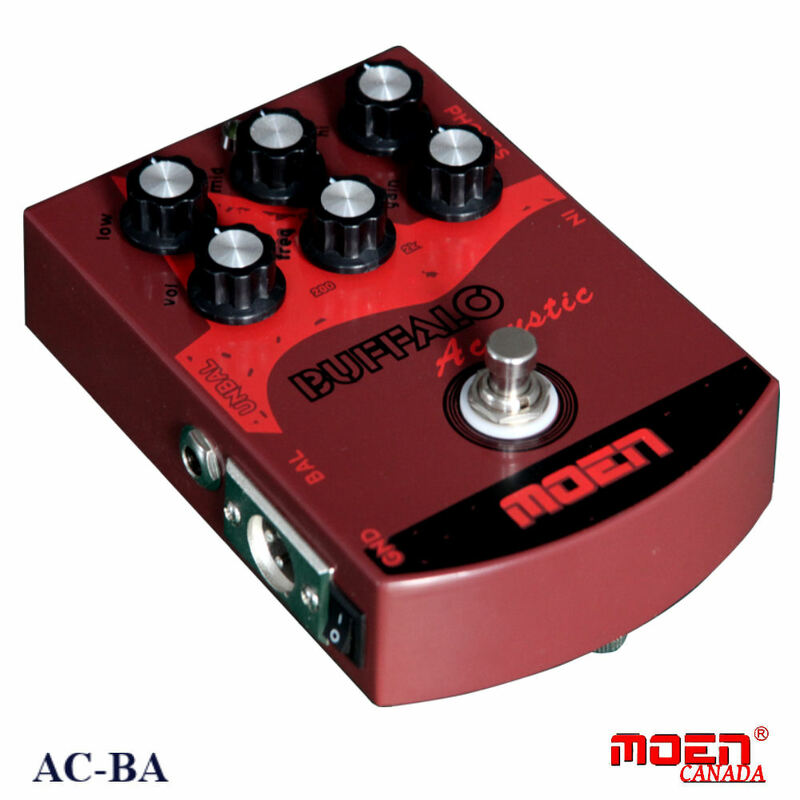 The BUFFALO AC-BA features a huge variety of control to shape the sound as well as other features simply not found in one stomp box. The new version has now added a ground lift switch which can connect or interrupt a ground loop which helps to eliminate hum in many situations. A great addition to this already around excellent box!! First, it’s a direct to amp EQ that sounds good straight to amp and has plenty of headroom and adjustment. It has Low, Mid and High EQ along with a Frequency knob for EQ contour adjustments shifting of these frequencies. Volume knob for total output level and an Attenuation knob which is for input signal attenuation/boost. I prefer this over some of my other drive pedals, colors the sound nicely with just enough ‘edge” to the sound. Second, it’s a headphone amp !! perfect for late night jams or when an amp is not available. The unit is self powered to receive a headphone connection ( small pin headphone in). Sounds somewhat like the Rock It headphone amp when going through the Buffalo direct. Hook some effects in line, Delay, Reverb, Chorus, ect., it really starts to come alive. More than enough to inspire some new riffs with late night jams through headphones. Great for travel or carry-on……. Third, it’s a direct box !! DI balanced output for going straight to a board or mixer or… unbalanced direct out for other 1/4 jack uses. This accepts three prong mic/instrument cable. Now you can have your acoustic going direct to a mixer or mains without the constant EQ of in front microphones. 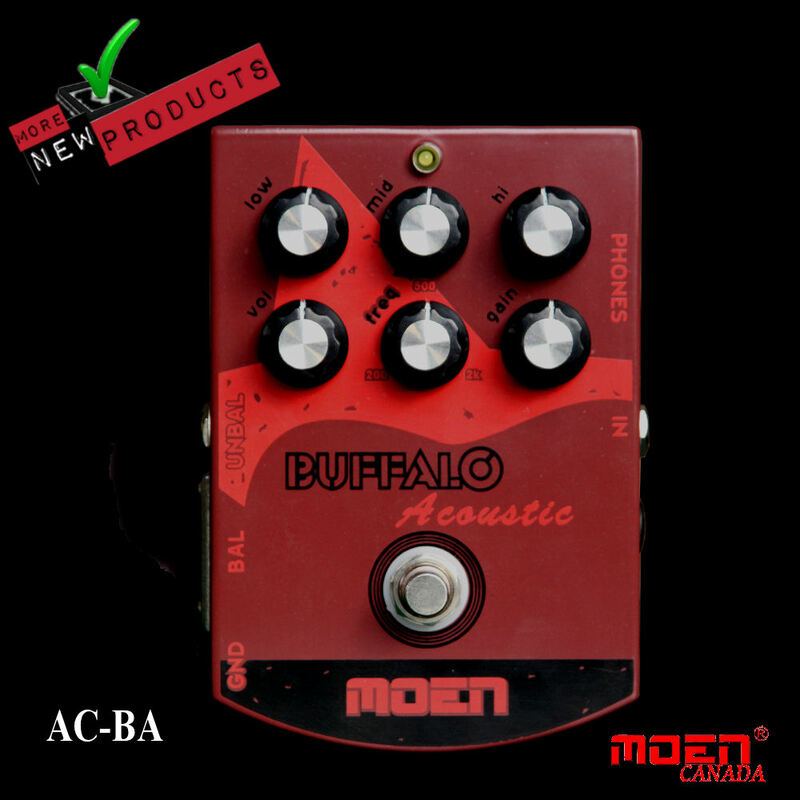 Specifically voiced for acoustic application ! ny three options can be useful as a stand alone item, but with the BUFFALO, it’s all here in one. 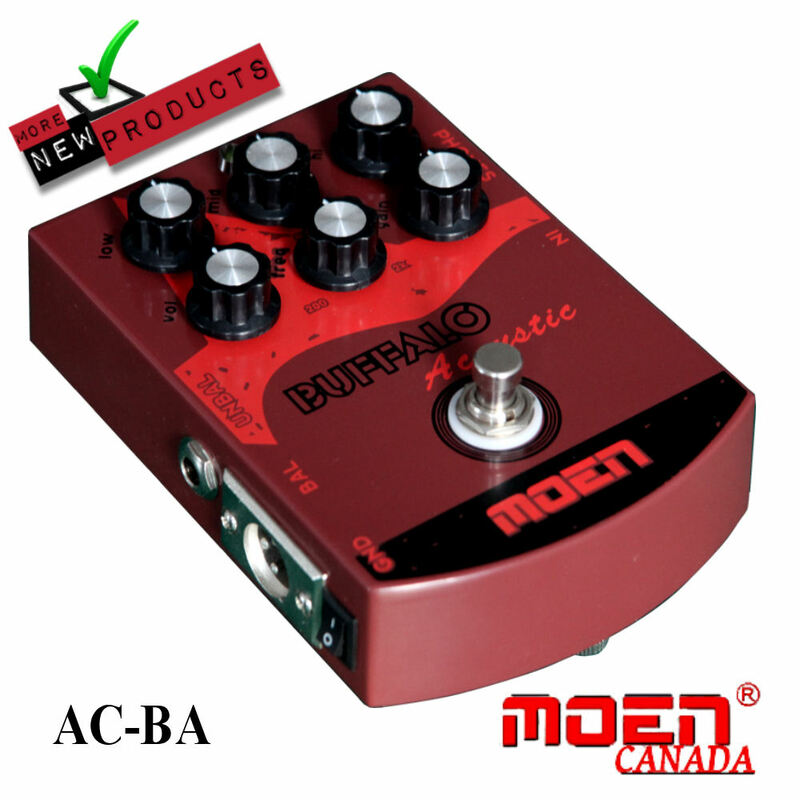 Very cool little box…….. now with new Ground Lift switch to help eliminate hum ! !